CORVALLIS, Ore. — Mikayla Pivec had 20 points and 12 rebounds and the fourth-seeded Oregon State Beavers withstood a major scare from No. 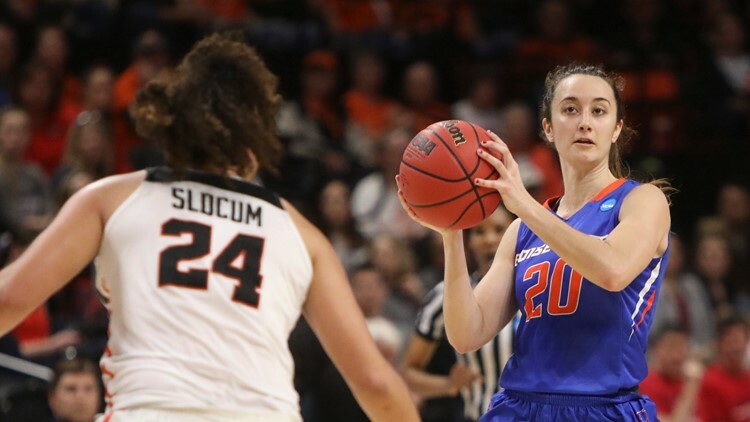 13 Boise State for an 80-75 overtime victory in the first round of the NCAA Tournament on Saturday night. Pivec's layup got the Beavers within 64-62 with 47 seconds left. After the Broncos made free throws to go up 66-62, Pivec scored on a layup and then forced a jump ball with 9.4 seconds left.